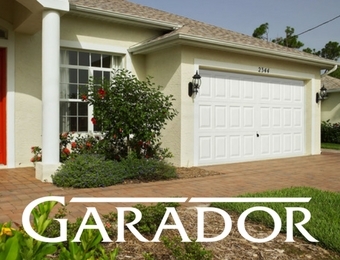 Our garage doors come from the UK's largest manufacturer, Garador. We can offer you a huge choice in Style, design & colour to suit any type and age of home, and our doors come with an array of different accessories including handles and electric operation. Every steel door comes in a choice of 18 RAL colours, or alternatively you can choose from Timber, GRP or PVC finishes. Only single door version available. An optional 4 point locking kit is available. 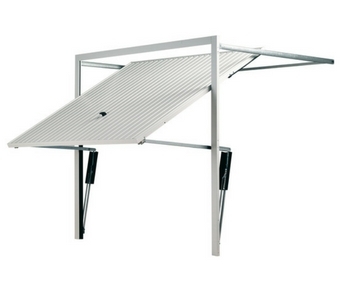 It comprises steel locking bar rods and slam-shut latches to increase the number of locking points. A retractable door opens along horizontal tracks inside the garage and travels back into the garage space when opened. 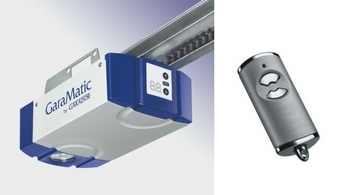 Retractable mechanisms are ideally suited to automatic operation. Single or double door version available. It comprising steel locking bar rods and slam-shut latches to increase the number of locking points. Side-hinged garage doors come built onto their own steel frame, and open outwards to provide clear and unrestricted space within the garage. These doors provide full drive through height, and a shoot bolt latch at the top and bottom of the door. Steel hinges are securely fitted to the frame, to ensure reliable function. Weather seals around 3 sides of the door help to prevent draughts. The centre style on the edge of the right side door helps to prevent forced entry to the locking system. These doors are available in steel and timber, with a range of colour finishes and sizes. 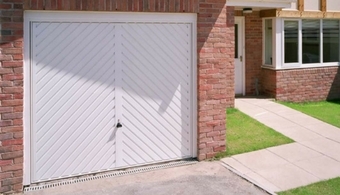 The Garador roller door is made up of insulated aluminium laths which vertically lift and then roll into a box at the head of the garage door opening. 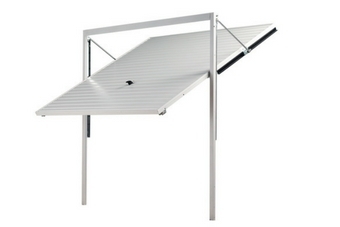 It offers a compact solution for garages that want to retain the ceiling area or access to the roof. This is the only spring-assisted roller door on the market. The spring helps to reduce the strain placed on the electric motor, ensuring it has a longer service life, and is much easier to operate manually by hand without the need for a hand crank. The rust resistant aluminium laths mean this door is the perfect choice for homeowners with a property by the coast. Roller doors are available in a choice of colours and timber effect foil coatings, and are supplied complete with an electric operator and two handsets as standard. The door also features an internal wall button and courtesy light so you can see on those dark winter nights. 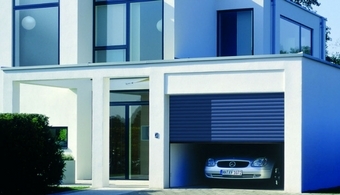 Sectional Garage Doors provide excellent security for homeowners. The door is split into sections which run on vertical and then horizontal tracks back into the garage. 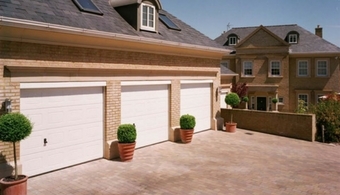 These doors rise vertically with no loss of driveway space in front of the garage, and provide full opening drive through width, giving extra room for wider vehicles. They come with a choice of insulation options, including classic and premium. 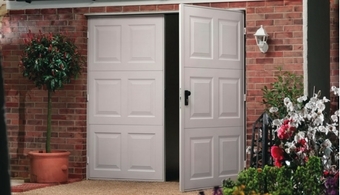 Classic doors are uninsulated and premium insulated doors have 42mm insulation. They feature rubber weather seals on all sections of the door, to help keep heat in and water out. 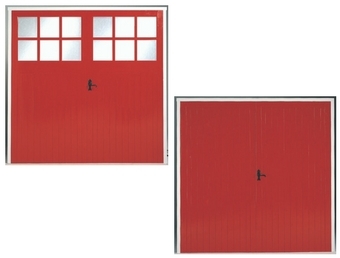 These doors are perfect for manual or electric operation. Garador Garage doors are availabe pre-fitted with steel frames for ease of installation and require just 7 fixings. Steel frames come matched to the colour or your door. We can also offer Elecric operators for those doors that are a bit too heavy to lift - or if you just fancy the luxury of you're garage door opening automatically for you! We also do a range of softwood timber door frames for either up and over or side hing doors. These are available in a variety of sizes. We also do a choice of 2 matchboard side hung garage doors with or without windows, and perfect for paint finishing.